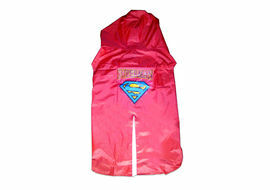 Premium Nylon Dog Raincoat, Super Lightweight - Your dog will love it, because it is so comfortable. 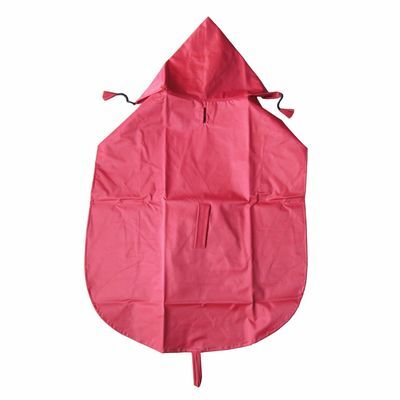 This is a fun, fresh, and lightweight red nylon dog raincoat. 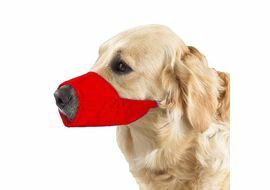 Your dog will love wearing this anytime it's raining, because it is so lightweight your small breed dog will be comfortable on those nasty wet days any time of year, this is great for warm summer, rains or blustery winter weather. 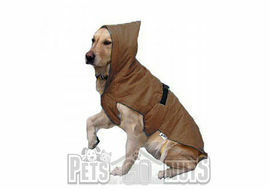 The dog rain coat is durable and easy to take on and off, with velcro neck and chest closures. 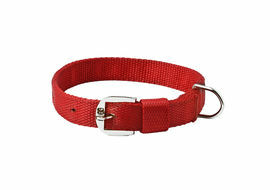 Length (base of neck to base of tail) - 30"
Velcro Belt / Strap Length - 39"
Please measure your dog before placing the order. 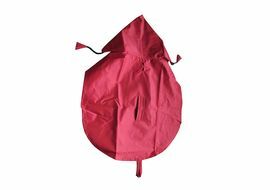 Premium Nylon Dog Raincoat, Super Lightweight - Your dog will love it, because it is so comfortable.This is a fun, fresh, and lightweight red nylon dog raincoat. 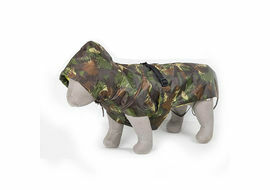 Your dog will love wearing this anytime it's raining, because it is so lightweight your small breed dog will be comfortable on those nasty wet days any time of year, this is great for warm summer, rains or blustery winter weather. The dog rain coat is durable and easy to take on and off, with velcro neck and chest closures. 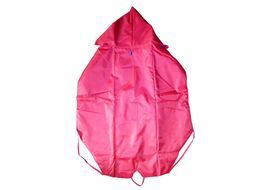 Size:Neck - 16"Chest/Girth - 22"Length (base of neck to base of tail) - 30"Hood - 16"Velcro Belt / Strap Length - 39" SIZE COMPATIBILITY Size 16 and Size 18: Ideal for Small Dogs (Pugs)Size 20: Ideal for Small to Medium Dogs (Healthy Small Breeds and Cocker Spaniels)Size 22: Ideal for Medium Dogs (Cross breeds and Boxers)Size 24: Ideal for Medium to Large Dogs (Cross Breeds and Small Labradors) Size 26: Ideal for Large Dogs (Labradors and German Shepherd)Size 28: Ideal for Large to Giant Dogs (Big Labradors and Big GSDs)Size 30: Ideal for Most Giant Breeds (St. Bernard and Great Dane)Size 32: Ideal for Giant Breeds (Huge Great Dane) Please measure your dog before placing the order.Disclaimer: Apparels featured on petsGOnuts.com is highlighted with its sizes and other specification to help you choose the correct product for your pet. We recommend you to measure your pet before making your purchase. Any form of apparels be it Tshirt, socks or designer body harnesses once sold will not be replaced. We incur high charges to ship our product to different parts of India. Replacement of apparels cannot be done under any circumstances.